Manufactured to the highest modern standards with modern, smooth and safe operating mechanisms all complying to the latest standards in safety and offering the best in security. Choose from many different species of hardwood and softwood to match existing timber features. 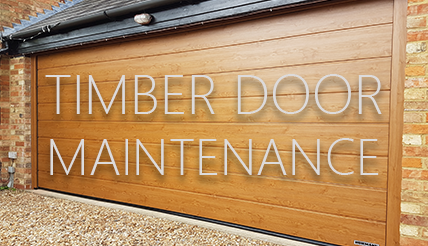 Standard or bespoke designs and standard or made to order sizes for timber garage doors in various operating mechanisms to suit all shapes and sizes of openings. Ranges of unique matching timber front entrance doors and side doors available designed and built in the same factory for total co-ordination of finish, style and colour. 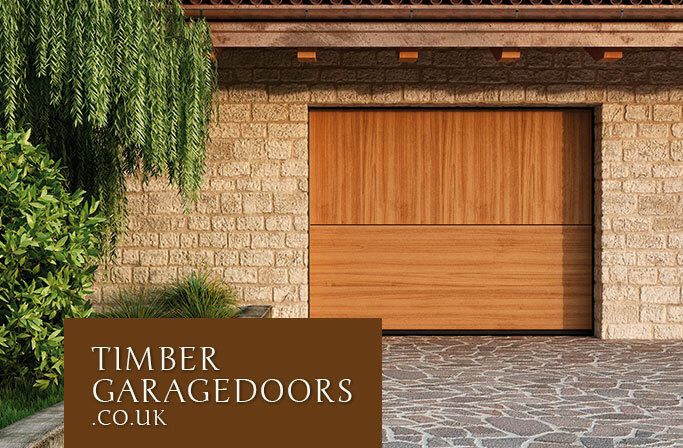 Get expert advice and the best prices from one of the U.K.'s largest specialist timber door supplier, manufacturer and installer to the trade, retail and DIY market. 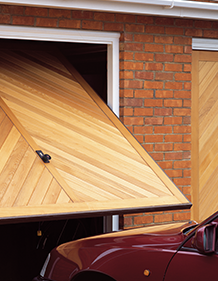 The ultimate door mechanism for security and weathersealing properties, the sectional door gives you so much more. Slideaway mechanism design maximising available space and avoiding panel swing out. Traditional timber designs or computer routed patterns to your own design. 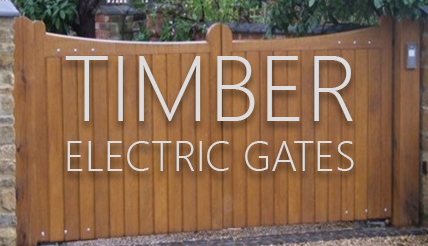 Standard or bespoke designs in choice of softwoods and hardwoods. Sizes up to 5000mm wide and 3000mm high. Excellent weather sealing properties on all sides, top and bottom of door. Timbers available include Hemlock, Nordic Pine, European Oak, Iroko, Mahogany and Cedarwood. The ultimate for flexibility in design, up and over one piece doors can create almost any style required. Specialised mechanisms for heavier timber types. Factory fitted steel frame and timber sub frame options. Construction of door panel available in either steel chassis or traditional mortice tenon jointed methods. Optional multi point locking for optimum security. Standard sizes or purpose made with optional factory applied Sikkens or Teknos microporous treatments in choice of colours. 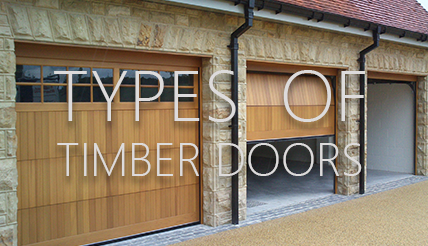 Traditional style one piece timber garage doors in canopy or retractable options. 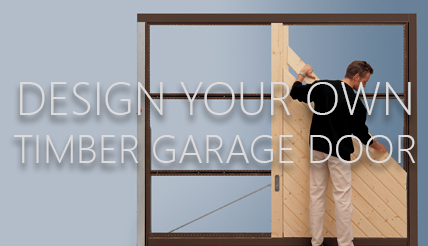 All timber up and over garage doors can be manual or remote control electrically operated at any size. 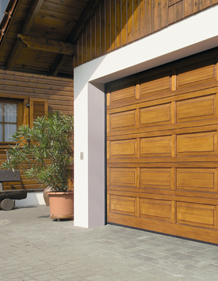 Traditional elegance with practical and easy operation for most single garages. Traditional or modern ironmongery options to compliment door style chosen. High security locking systems available on many door types. Standard or bespoke designs in sizes up to 3048mm wide and 3000mm high. 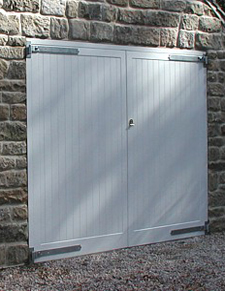 Bi Folding garage door options available for special wider requirements. Wide choice of glazing style options, timber bead and leading designs. Fully finished Sikkens and Teknos wood stain colour options from the factory. Now available in Idigbo hardwood, the perfect match for oak without the price, weight or hassle of warping and splitting. 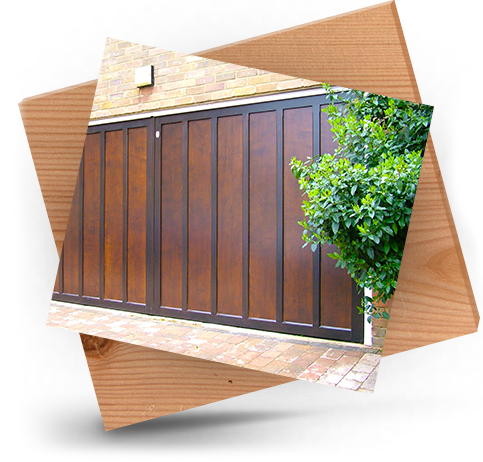 Remote control electric automation available on any of our side hinged timber garage doors with options on the method of automation to suit the garage and frequency of use. The very highest quality construction for the longest lifespan.